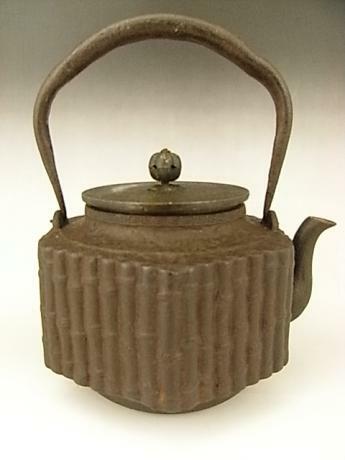 Japanese early 20th century iron pot by SHIBUNDO. 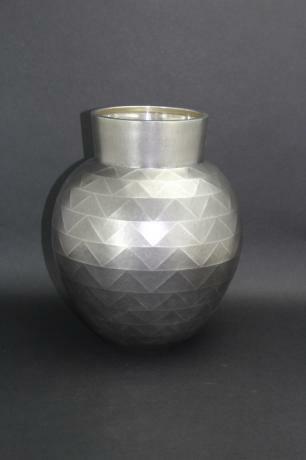 This pot is done in a hexagonal shape. All of the 6 sides have a bamboo design. The inside of the lid has SHIBUNDO etched into it. 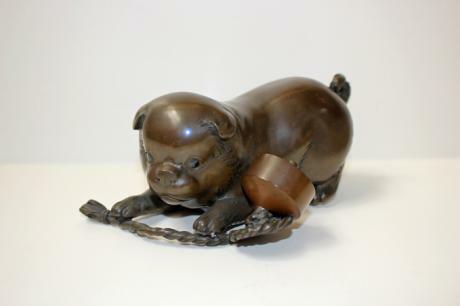 This iron pot measures 8 1/2" tall (from base to top of upright handle), 6 3/4" wide and 5 3/4" deep. 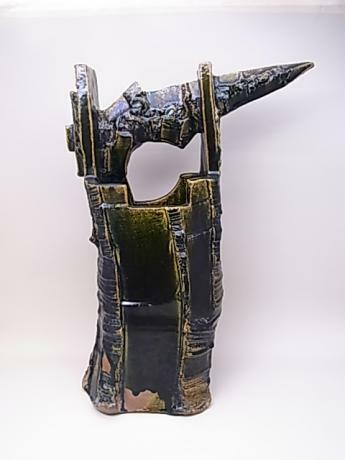 Japanese late 20th (1992) large ceramic vessel by ceramic artist TAKAUCHI SHUGO. 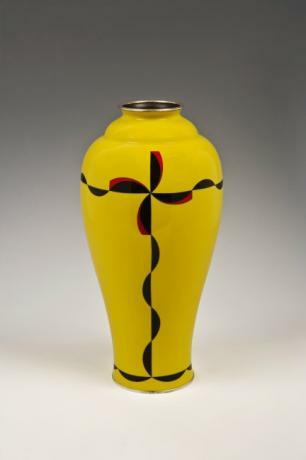 TAKAUCHI SHUGO was born in Tokyo in Showa 12, or 1937 and he presently works in Mashiko, Tochigi Prefecture, Japan, where he has a kiln. 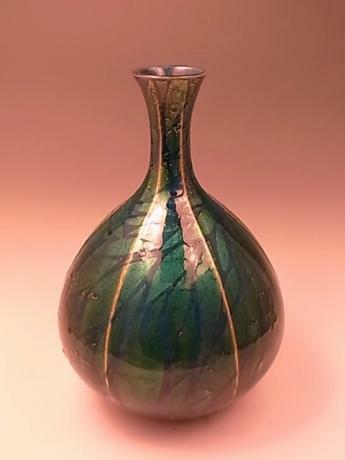 He has exhibited around Japan numerous times, including 4 times at the prestigio..
Japanese Meiji Period silver and lacquer SHIBAYAMA vase by NOBUAKI. 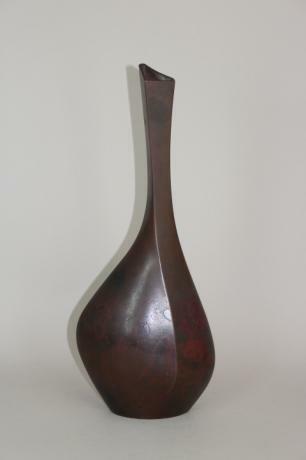 The vase has 4 panels going around the side. Each panel has different flowers and birds. 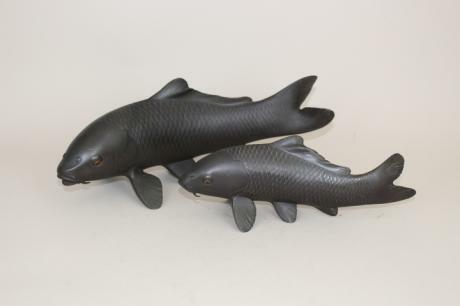 Beautifully and realistically rendered in fine shell inlays. 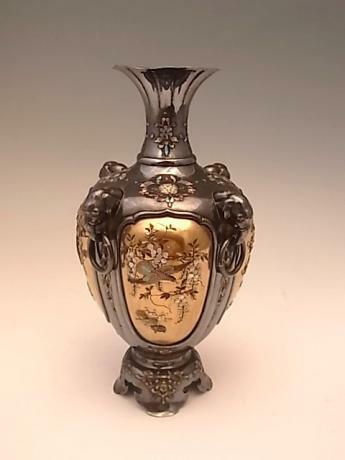 The vase is signed NOBUAKI on a gold metal placque on the bottom of the vase..
Japanese early 20th century iron box with gold and silver inlays by KOMAI. The box is made with a lid and also a tray that fits on the top inside. 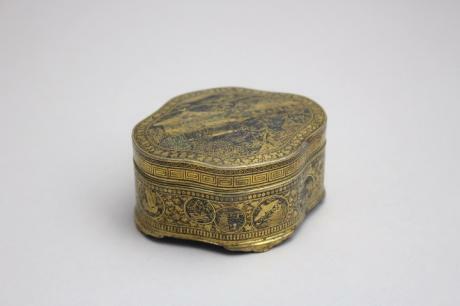 The top of the box had the design of the famous GINKAKUJI, or silver pavilion Also inside the tray has the design of . The box measures 3 1/8" wide..